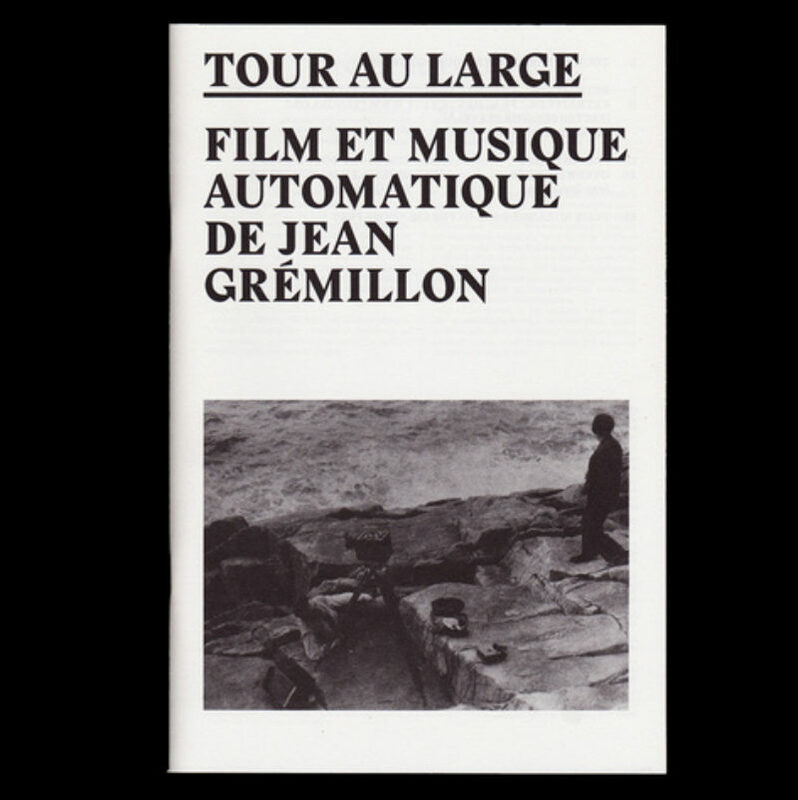 KRAAK | Jean Grémillion Tour Au Large"
This book was published on the occassion of the 'Un Tour Au Large' event, with a concert by Rex Lawson and screenings of two seminal movies by French filmmaker and composer Jean Grémillion. The event was part of a broad overview of Grémillion's body of work, carefully curated by Cinematek and Aristide Bianchi. This book was edited by Artistide Bianchi and Christophe Piette. An educated musician, performer and composer initially performing as a violinist in a silent film orchestra, Grémillon became interested from the early stages of his career in the complex relations between the moving image, sound and music. His silent films displayed an interest in the harmonies and disjunctions between the pictorial composition of the images, their editing and orchestration. His early work also reflected to some extent some of the recognizable traits of the aesthetic avant-garde of his time as displayed in his interest in the short-lived mechanical devices for synchronizing sound and image. Both in his feature films as well as in his documentaries, within and beyond convention, Grémillon has sought forms of harmony and parity between the images, the music and the sounds, paying a particular attention to the qualities of the voice and dialogue, as well as to the complex weaving and mixing of the various other sounds and musical materials. I suggest that in order to grasp the importance of musicality in the work of Jean Grémillon, and to understand his aesthetics and politics of filmmaking, one must actively listen to his films, read his writing and be aware of the various professional and amicable rela- tions he established with the musical milieux of his time. Dit project is ontstaan uit de uitwisseling van ideeën met Ricardo Matos Cabo. Deze uitwisseling vormde een continue inspiratie tijdens de voorbereiding en ontwikkeling ervan. Andere onmisbare inspiratiebronnen waren: François Albéra, Christophe Clavert, Claude François, Nicolas Guillot (Comité Roger Désormière), Jean-Luc Plouvier, François Porcile, Barbara Ulrich. Dank aan Leonid Kharlamov, Vinciane Meurant voor hun lezingen. Dank aan Bruno De Cat, Gael Naizet en Cinémathèque de Bretagne, Jo Santy, Eric Thouvenel, Julie Vanopdenbosch. Peter Van Bogaert zorgde voor de vertaling naar het Nederlands van de teksten van Jean Grémillon.